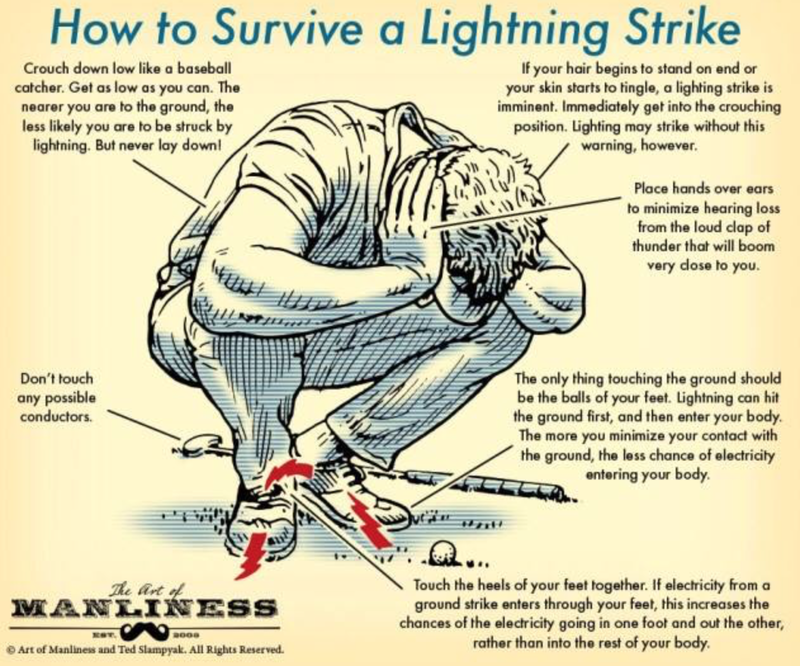 Of course, you should not be outdoors when lightning approaches. Indoors or your car are far, far safer. That stated, the diagram below looks reasonable. I had never seen the advice to put your hands over your ears. It seems wise.